SELLERS ARE VERY MOTIVATED AND WAITING FOR OFFER! $5,000.00 CARPET/PAINT ALLOWANCE! 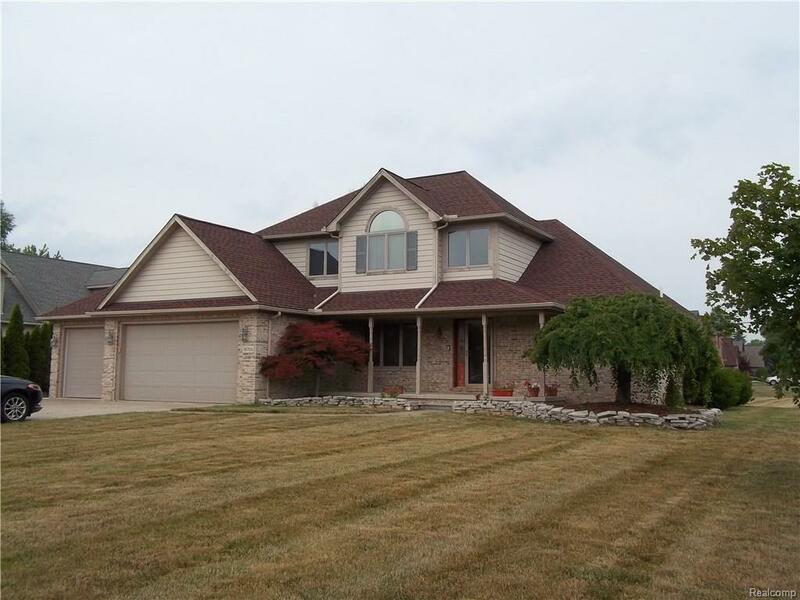 Wonderful 4 bedroom home on 3/4 acres in Eagle Estates! Two story foyer opens up to beautiful great room with gas fireplace and tile surround. Large eat-in kitchen with granite countertops and s/s appliances including a Bosch induction cooktop and wall convection oven! Doorwall off kitchen leads to a paver patio that overlooks lovely yard that is plenty big for entertaining. Abundant natural light throughout home with gorgeous Andersen wood windows and blinds. Master bedroom suite on main floor is very spacious. Upstairs boosts 3 good-sized bedrooms, all with double closets! Basement is large and waiting for you to turn into what ever your heart desires. Handy 3-car garage too! Home has new roof in 2012 with lifetime shingles and recently added extra insulation, new hot water tank and ac. Home also features filtration system. 24 hour notice on all showings please. C of O already obtained!